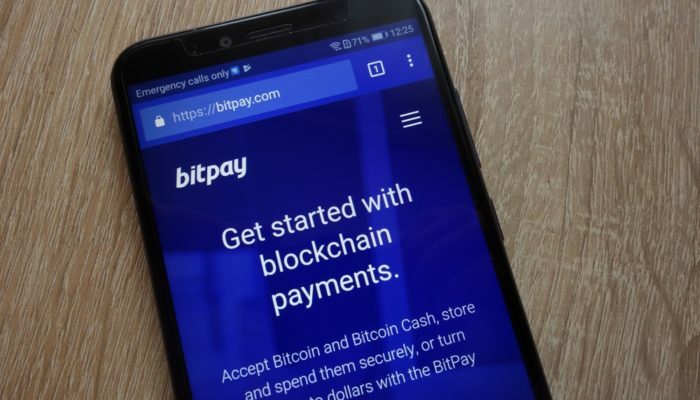 Bitcoin payment services provider BitPay, a global leader in processing payments for merchants, has announced the much-awaited option of receiving settlement in the form of Bitcoin Cash. The news hasn’t had an effect on the price of the cryptocurrency as of yet, as BCH continues its downslope towards the $500 line. Founded in 2011, BitPay has made a name for itself by giving merchants tools for accepting blockchain payments from their customers, as well as providing its customers with reliable bank settlements. This includes their own local currency (USD, EUR, etc.) without the risk of volatility. Bitpay mitigates the risk of Bitcoin price volatility by converting Bitcoin to a local currency immediately. The company based in Atlanta, Georgia, USA, announced Bitcoin Cash as its second digital currency settlement option for BitPay merchants. The BitPay community on Reddit cheered the news and some concluded that the cryptocurrency payment services provider has worked hard to offer the altcoin option in response to merchant demand. Fees on the Bitcoin Cash network have historically been considerably lower than those on the Bitcoin network. The BCH average transaction fee on Thursday was 0.0157, while Bitcoin cost 0.704, according to BitInfoCharts.com. During the peak of the cryptocurrency fever in late 2017, Bitcoin fees jumped above 50%, which caught the attention of BitPay CEO Tony Gallipi. “How many #Bitcoin UTXOs are currently unspendable? I just received $45 and now it will cost me more than that to spend it”, he wrote on Twitter in November 2017.
the average #bitcoin transaction has a fee of 100,000 satoshis. 57.26% of all bitcoin addresses contain less than 100,000 satoshis. BitPay first announced the decision to add the Bitcoin Cash option in March 2018, including the ability to use BCH tokens to purchase gift cards in-app from Amazon and Mercado Livre, a leading Brazilian online marketplace. Since then, it was possible to use BCH with the BitPay Visa debit card with no fees. The platform, however, began integrating BCH support with almost all of its partner merchants several weeks prior to that first announcement. Bitcoin Cash, with a market capitalization value over $9 billion, has been stuck below the $600 mark since losing the handle in early August. Despite the good news for the BCH ecosystem, the cryptocurrency remains priced below 0.08 BTC.